A simple guide to using an Amazon Fire TV player to access our free Bible video material for your Congregation. 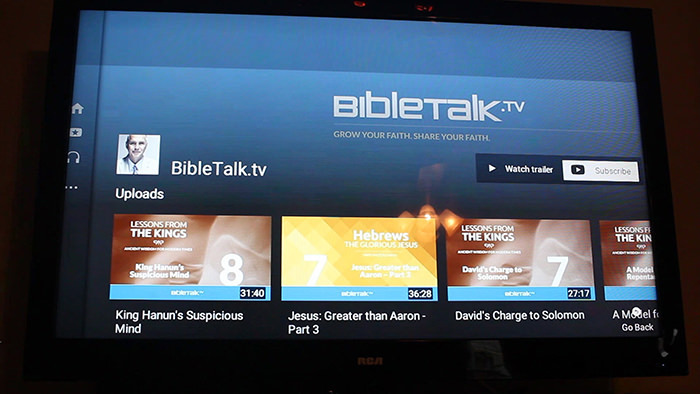 The easiest way is to download the BibleTalk.tv app for FireTV. After you download it, it will then prompt you to select which device you want it to be used on. Choose the device you prefer and then click the 'Deliver' button. After that button has been pressed, it should show up on your FireTV automatically. You can then navigate to it like any other app or channel on your device. If you have it working correctly, it should look like the image below. 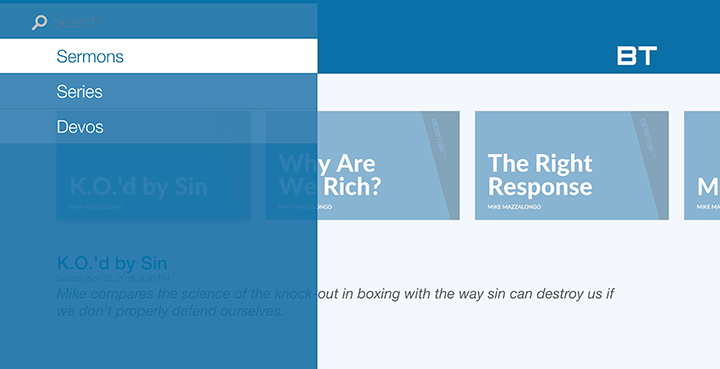 To navigate through the sections, arrow up to the 'Sermons' bar. When you click on that you will be able to go to the other sections. 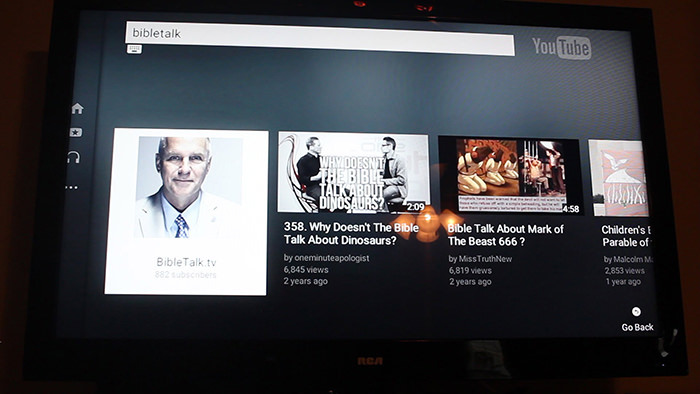 To access BibleTalk material directly on your TV you can also use the YouTube Channel. 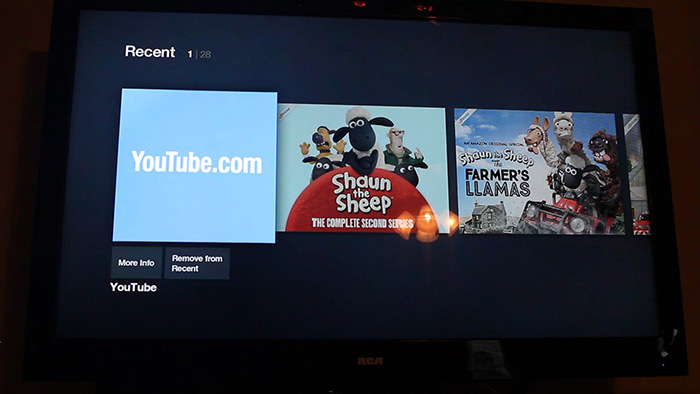 Search on your FireTV for 'YouTube.' Amazon has some helpful videos and guides to help you get familiar with your FireTV player. Once you have the channel activated, click into it. If you have subscribed to our channel using your YouTube account, you can log in to your account and our material should be easily available on your home screen. 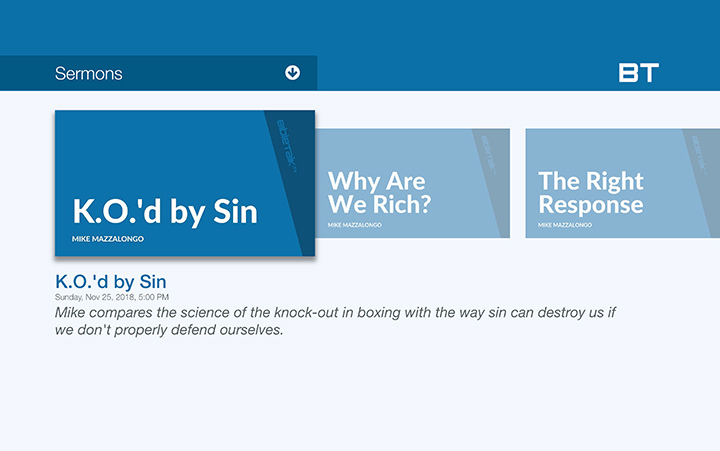 If you haven't subscribed, navigate to the search box at the top of the screen and search for BibleTalk. After you have typed a bit, there should be a result for BibleTalk.tv. Clicking on that will take you straight to our channel. On the right is where you can click to subscribe. Scrolling down will show you all of our material and simply clicking on any of the videos will make the video begin playing on your TV. For problems with the website or other general technical questions please contact hal@bibletalk.tv.